Been there, done that. It was great. I’d like to raise a few points on behalf of those who find themselves with a few gray hairs. Or a lot of them. 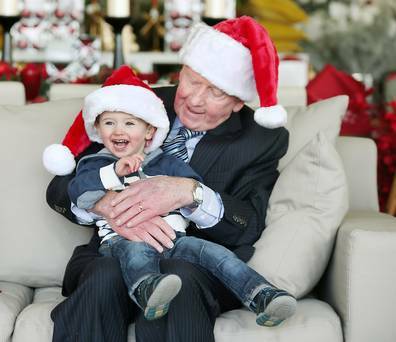 Christmas is no less magical or profound or sweet or challenging now than it was when we were whippersnappers. In fact, it may even be better. Let’s talk about Hope: I must confess I’ve done my time on the Island of Misfit Toys. Feeling broken. Not sure where I belonged. But I’ve learned that everyone gets broken. Everyone feels like a misfit from time to time. It is the coming of Christ that gives our lives meaning and purpose. Now I know what it really means to have HOPE! Let’s talk about Love: I’ve learned that there is no perfect present underneath the tree. Hard as we might try, we can’t fit love in a box. There’s only one gift that truly satisfies to that extent. It is the gift that God gave to us, so that we might pass it on. Now I know what it really means to have (and give) LOVE! Let’s talk about Peace: Every year I find myself saying, “has the world ever been this bad?” My attentiveness to the suffering around me has developed, but so has my faith and resolve. I believe there is no turmoil that the Prince of Peace cannot transform, and I want to help. Now I know how to look for signs of PEACE! Let’s talk about Joy: Whereas once a gadget or a toy would make me giddy, now joy strikes me much more deeply. It is in the presence of family and friends. In witnessing simple acts of grace. In the Christmas story. More than just the excitement of a season, I am reminded of what God With Us truly means both now, and the whole year round. Now I know the ongoing thrill of JOY! Oh, I’d never take back all those wondrous Christmases I spent as a child. …even as I keep getting grayer. Sunday, 12/16/18 2-4pm at Jane’s Landing Coffee Shop in Mulvane KS — BOOKSIGNING PARTY! Come drop by! MY NEW BOOK! 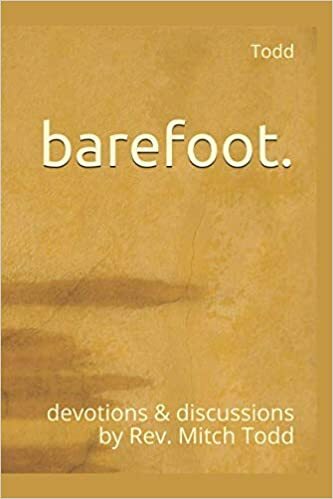 A collection of my favorite devotions from over the years, complete with study questions. Perfect for individual reflection or group discussion. Get yours today! You’ll never believe what happened when Valentines Day and Ash Wednesday fell on the same day, back in 2018. I had left the house in a rush, grabbing my stuff and wishing my wife an “I love you!” as I ran for the door. I had to make it to church in time for the come-and-go imposition of ashes. We decided not to have a service this year, opting instead for a couple hour-long spans when people could come to the church, receive ashes and a devotion booklet, and be invited to pray in silence. There were already a couple people sitting in pews waiting when I got to the sanctuary. I dropped my stuff in the front pew and reached in my satchel for my vial of ashes—and it wasn’t there! Instead I found a bag of Valentines candy. Little candy hearts I was going to pass out to my staff and family that evening. I stood there, paralyzed, as another person came into the sanctuary. The man walked down the aisle right to me, brushing away his hair so I could impose the ashes that I didn’t have. Panicking, and not knowing what else to do, I ripped open the bag of hearts, grabbed one, and placed it in the man’s palm. Looking down, we read together what it said: “Be Mine”. He looked at me, startled. Straight-faced, I muttered, “Repent and believe the Gospel.” He slowly turned away, as if trying to decide if he was supposed to eat it or not. There was a line now. The woman behind him stepped forward, and tentatively held out her hand. I pulled another one out. It said, “Hot Stuff”. Obviously that wouldn’t do, so I popped it in my mouth, said a silent prayer, and pulled out another. “True Love.” That was more like it. “Repent and believe the Gospel,” I said, placing it in her hand. She smiled. That was a good sign. The line was all the way down the aisle, now. Would I have enough appropriate hearts to pass out? I said another silent prayer. The next one surprised me: “Have Faith”. The one after that said, “I Forgive.” Amazed, I pulled another and gasped. It said, “Died 4 U”. People were leaving with tears in their eyes now. I had to wipe a few away myself. In later days people would tell me it was the most moving Ash Wednesday they could remember. Believe me, I gave God all the credit. As the last person left the sanctuary, I looked down in the bag. One heart left. Bracing, I pulled it out. It said “Dust 2 Dust”. What might God do with April Fool’s Day and Easter? It’s my devotion. So if I want to use All Saints Day to venerate my dearly departed doggie, I’m gonna do it. Not that this won’t be met with some controversy, I’m sure. The debate over whether animals have souls has gone on for centuries. People are adamant on both sides. Even Catholic Popes have weighed in differently down through the ages. Most recently, in 2014, Pope Frances made the claim that animals go to heaven. It made international press–too bad everybody was quoting somebody else by mistake. We don’t actually know what the Pope’s thoughts on pets in the afterlife are. I wonder if he ever had a dog? My dog, Charlie, left this Earth yesterday, early afternoon. My wife and I don’t have kids, so Charlie was the third member of our family. We’ve had many tears as we’ve watched his cancer get the best of him. Saying goodbye to someone you love is so hard. I’ll be honest–if you were to call into question the existence of a soul in Charlie, my wife would probably beat you up. So I don’t recommend that, at least not this week. For us, and millions of pet owners, the answer is obvious. The spark of creation, the capacity for love points to an unmistakable soul. Something God-given and eternal. Charlie has a soul. Now, I’m gonna take it one step further. Can a dog be a Saint? Someone who has impacted the lives of others in a profound and loving way. A member of the congregation, living or dead. Anyone whom we have loved and lost. Those are pretty roomy definitions, and designed to be that way. I think Charlie would have to have performed a couple miracles (and be human) in order to be considered for canonization, (we’re talking Mother Theresa material), so maybe not the extra fancy description of Saint. But, looking at #1 up there, I’m gonna say he counts in my book. For 12 years he followed/shepherded us everywhere we went. He cuddled, played tug, and seemed to know when we needed an extra dose of affection. He was incredibly smart–we counted well more than a dozen words or phrases he understood completely. He ran with Jan for years around Wyandotte County Lake, protecting her. He traveled around the country with us. And on the rare occasion when Jan and I would raise our voices, he would come and sit right between us. I could go on, and probably never convince some that Charlie is being deserving of Sainthood. That’s okay. I suppose you’ll have to take my word for it — That dog taught me more about love, service and commitment then most humans ever will. So, if you’re not a pet owner, consider becoming one! And if you are a pet owner — I give you permission (which you don’t need) to call your special pets Saints, too. I figure, if the paw fits, wear it. I believe we are surrounded by a great cloud of witnesses, and not all of them walk on two legs. But hey, when you turn your eyes to God, you can go ahead and discern that for yourself. I’ll admit it. It bothers me. It bothers me to think that there may be people out there who hold grudges against me. *Maybe that couple I did a baptism for and almost dropped their baby. *Or the high school girlfriend I abruptly broke up with. *Maybe that person whom I made a really awesome joke about, but at their expense. *Come to think of it, as someone who preaches without notes on a Sunday morning, there could be countless people who may have been offended by something I said or did. Just think about it. Out there in the world, there may be dozens of people who hold a grudge against you. Some you may know about, but some are a mystery. Doesn’t it just make your skin crawl? It’s not just the idea that people may think this way about you. It’s the idea that you have caused pain to someone else, perhaps even unintentionally. It can weigh on you. Almost as much as it does to hold a grudge against someone else. Can you make a list of the people you hold grudges against? An old teacher, a college roommate who let you down, a coworker who stepped over you on the ladder to success? I’ll bet there are a few there, on your list. Funny things, grudges. It’s no fun to be on either side of one. “‘Do not seek revenge or bear a grudge against anyone among your people, but love your neighbor as yourself. I am the Lord. God knew, way back then, of the pain and damage grudges could cause. And indeed, we see it play out time and again, amongst brothers, between parents and children, and would-be-kings. Everything from bruised egos, to betrayal, to hurt feelings, to malicious intent. One of the most famous grudges of all is the one that Esau bore against Jacob. The grudge was well deserved, as Jacob had stolen Esau’s birthright. As Esau’s troops advance upon Jacob’s position, and Jacob is certain his brother will strike him down, Esau offers a surprising response of grace and reconciliation to Jacob. The brothers are reunited, and peace is restored. It’s a remarkable scene of love and forgiveness in the midst of a world that didn’t always function that way. You, like Esau, have the power to dismantle the knot of pain and betrayal that led to the grudges you hold. Forgive. You also have the power to apologize to those you know you’ve hurt. As for the faceless people out there who may bear you ill for something you aren’t aware of, all you can do is follow God’s advice, and love your neighbors. than any disgrace you may have caused. That’s what I’m tempted to take around you, today. Fair enough. I have my Oscar the Grouch days, too. But why? What causes us to prickle up and bristle like a porcupine? What flips that switch that causes us to take everything the wrong way, to roll our eyes and speak in a rough voice? 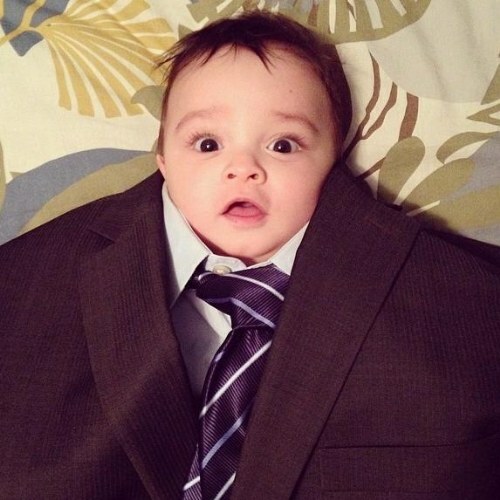 Is it job stress? A messy house? An unpleasant phone call? The cold? Wait, now I’m grouchy, too. Thanks a lot. This stuff is contagious. If we went out in public we could start an epidemic. Is there a cure for grouchiness? Is there an antidote, or must we slump down into our trash cans and sigh with exasperated resignation? 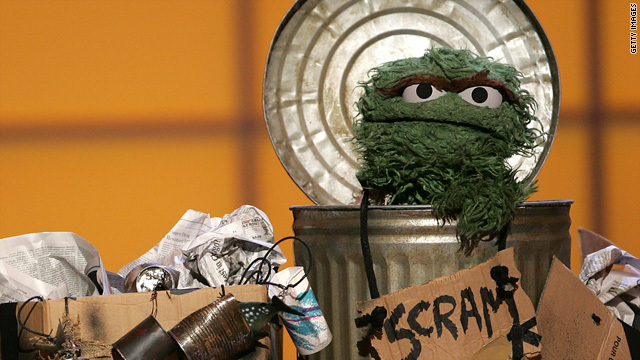 Maybe Oscar is always grouchy because he lives in his own trash. He refuses to separate himself from the thoughts and feelings that are making him grouchy. Put away from you all bitterness and wrath and anger and wrangling and slander, together with all malice, and be kind to one another, tender-hearted, forgiving one another, as God in Christ has forgiven you. Maybe that’s what makes us grouchy. We forget to take out the trash. It couldn’t sound simpler — when grouchy (or worse) thoughts and feelings come, we’re supposed to throw them away and get rid of them. They’re not useful or helpful. Grouchiness is not something to embrace! Or it shouldn’t be, but this kind of trash is sticky. Like gum on the bottom of your shoe. All too often, just like Oscar, we choose to just live in it. The antidote, as Ephesians describes, is kindness, forgiveness, and tenderheartedness. With each other, ourselves, and God. How could we have forgotten that? Okay then, grouchy pants. It’s time to take out the trash. And I’ll do the same. The next time we run into each other, let’s be living in God’s love instead of our trash cans. the less you’ll deserve an Oscar. I was leaving church last night, turning onto College Street, when I saw a figure crossing the road. My car lights cut through the silhouette, revealing it to be a young woman, walking by herself. She could have been high school or college age. She kept her head down as she crossed in front of me. Once she’d crossed, I was able to see what she wore on her back. She could have chosen so many messages to wear. Why would she choose that??? Maybe she was a total introvert, and truly just needed her space. Perhaps she was deeply troubled. Coming from a rough home. Broken and isolated. How do we share God’s love with someone who wants to be left alone? She passed on by. I have no idea who she was. But I’ll admit it. It bothered me. It made me wonder where she got that hoodie from. Did she put the letters on herself? No, it turns out there’s a market for that kind of catch phrase. I found her hoodie online. $50. There were t-shirts, bomber jackets, hoodies, hats, pants, and more, all with that same slogan. It’s one thing for a person to desire solitude. For regenerating, for peace and quiet. It’s another for a human being to send out a message to the cosmos expressing a desire to not be part of it. I believe this is true. Men and women were not created into isolation. We are a people of family, a people who live and love together, even when things are tough. The fact that there are millions of kids out there wearing these messages of isolation reveals nothing we shouldn’t already know: Some people have been so burned by being with others, they’d just as soon go it alone. But I’ve also learned not to automatically believe everything I read. If I knew that girl…she’d have definitely gotten my attention.